The 30th running of the Helen Windsor 10k, promoted by Halifax Harriers from Greetland Allrounders ARLFC, took place on a hot summer evening and attracted 246 participants. The race incorporated the Yorkshire Vets 10k Championships and was chip timed. There was big support from local clubs Stainland Lions, Sowerby Bridge Snails, Queensbury and Northowram Pumas. The event has a beautiful, runnable course and friendly atmosphere. Halifax Harriers’ Johanna Sutcliffe was first lady in 41:28 and first F40. April Caufield was third in 43:10 and first senior women and Rachael Beaumont was seventh lady in 45:28 and third F45. The trio took the ladies’ team prize for Harriers. Michael Gaughan was first Harriers man in 39:08, followed by James O’Rourke in 41:06 and Tom Paget 41:39. Andrew Wiggins (41:57) and Robert Hick (46:06) finished third in their age groups and Samantha Layfield (52:19) was second in her’s. The winner was unattached runner Nigel Hockin in 36:27 from Stainland’s Ed Hyland and Stephen Hall. Stainland, who had 65 runners, took the men’s team prize. There were age category wins for the Lions’ Derek Parrington, Tanya Blake, Aileen Baldwin and Judith Greenwood. 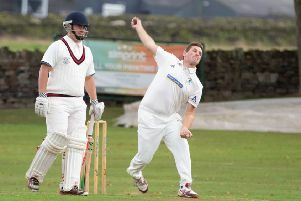 Forty seven members of the Sowerby Bridge Snails took part in the latest round of the club championships and Sean Suttle extended his lead over Jonathan Moon at the top of Division One. Terry Lamonby-Smith leads Division Two, although it was Rob Hick who got maximum points in the division. Suzanne Fretwell is now joint top of Division Three with Nicky Brown. Brian Crowther and Emma Greaves lead divisions four and five respectively.